Twelve months ago, Baywater Healthcare’s IT Manager, Chris Hulme, was diagnosed with a rare form of Non-Hodgkin Lymphoma. It has been a tough year for Chris and his family, thankfully in January of this year Chris was informed that this cancer was officially in remission. A month later, Chris underwent a final round of high dose chemotherapy and stem cell transplant, from which he has gradually been recovering and building his strength. This experience has been a testament to Chris’s character; a motivated, determined and hard-working individual, who, by his own admission, doesn’t do things by half, it was no surprise to see him back working at the start of June. On Sunday 8th July 2018, Chris and Lucy completed the Manchester to Blackpool bike ride, raising over £3.500 for The Christie, a fantastic achievement! 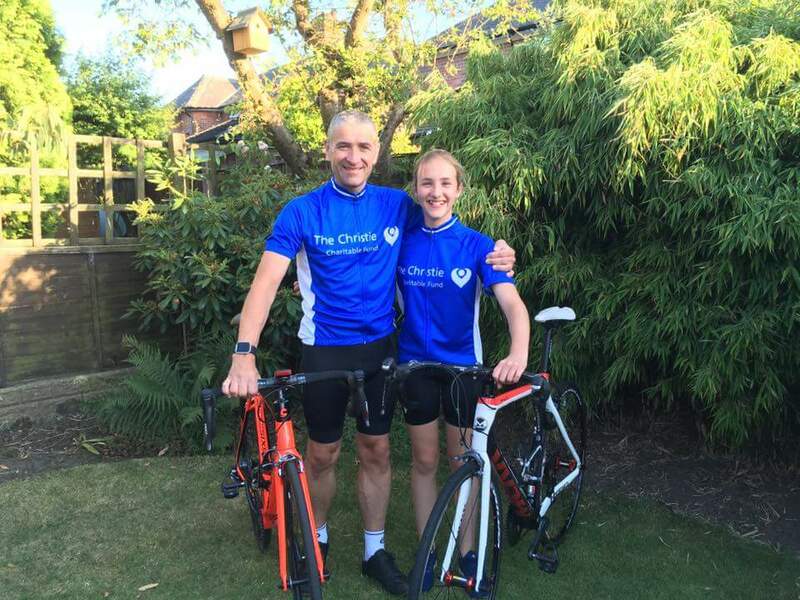 The 63-mile trip was Lucy’s first long distance ride, but with pure determination, she finished well under her target time of five hours, crossing the line with a time of 4hrs 29 minutes and 19 seconds, a brilliant achievement. Chris aimed to give a little something back for the expert care he received from The Christie, to ensure that there are many, many more success stories. I think it is safe to say that they certainly achieved their goal! Baywater Healthcare couldn’t be prouder of both Chris and Lucy, what a team.